Impact Iran and its member organizations are appalled by the Iranian government’s decision to select Minister of Justice Seyyed Alireza Avaei as its high-level representative to address the United Nations Human Rights Council on 27 February. Minister Avaei is reputed for being an egregious violator of human rights, prompting the European Union to place him on its list of individuals sanctioned for their involvement in gross and systematic violations of human rights in the country. As a Revolutionary Prosecutor in 1988, Minister Avaei was a member of a three-man committee known as the “Death Committee” in Khuzestan Province. These committees, which were set up across Iran, arbitrarily sentenced thousands of individuals to death over a period of months, following summary trials during which judges questioned prisoners to determine whether or not they had recanted their opinions and beliefs. Thousands of prisoners were hanged secretly during what came to be known as the 1988 massacres. As Chief Justice of Tehran Province in 2009, Mr. Avaei presided over the trials of hundreds of individuals arrested for peacefully exercising their fundamental rights to freedom of expression when protesting the results of presidential elections that year. The legal proceedings for these cases were widely criticized by international community, including by the Human Rights Council and its UN Special Procedures, as well as by the UN General Assembly and the Secretary General, for the lack of respect for due process rights observed in the preponderance of these cases, which resulted in the imprisonment, abuse and execution of hundreds of individuals. Iran’s selection of this individual to represent the country before the Human Rights Council, the very UN body in charge of the promotion and protection of human rights, is an insult to the memory of the victims of his expeditious and deadly trials, as well as the human rights defenders risking life and liberty to document violations of fundamental rights in the country. Furthermore, Minister Avaei’s participation, despite having been placed by the European Union on its list of 82 individuals banned from travel or from accessing their assets, undermines the international community’s accountability efforts and further reinforces the culture of impunity among Iranian officials, which is a serious obstacle to efforts to improve the situation of human rights in Iran. By choosing a major violator as Iran’s voice on human rights, Iran is also making a mockery of the Human Rights Council and showing contempt for the UN human rights system as a whole, a few weeks before this Council will be called to hear about, discuss and take action on the situation of human rights in Iran. 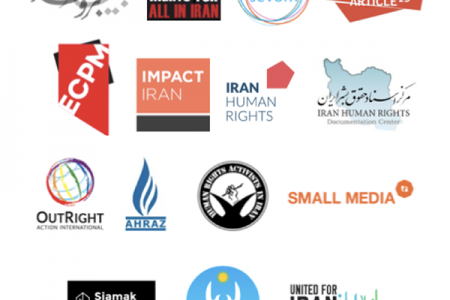 We call on the international community to voice their serious concern and to take steps to hold Iranian officials accountable for violations of the fundamental rights and principles to which member states will speak to in the coming days.